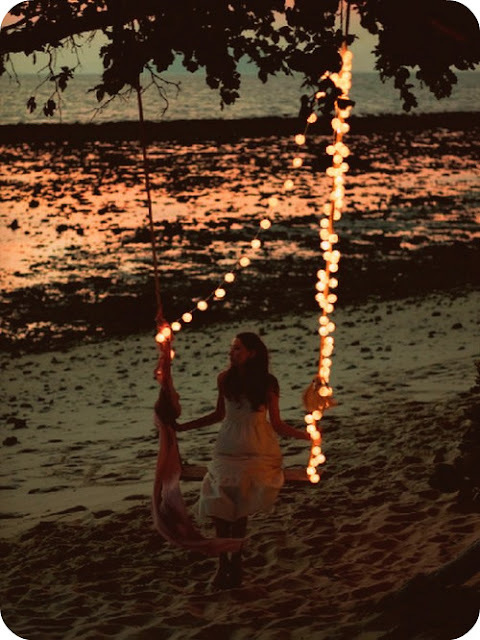 It would be an ultimate blessing to own a twinkling swing much like this one. Perhaps a christmas present? It is now 10:45PM and I am lying in bed with my new blog. My Sunday was spent finishing off my criminology assignment that I should have completed about a month ago. But alas, I am a master at procrastination. Besides, I work better under pressure anyway..well that's the excuse I'm going to stick to. Other than completing an assignment, I spend my Sunday in my favourite place with my favourite person. Sunday's make me happy, I enjoy them rolling about each week.